1 What Is The Definition Of TPL Third Party Insurance? 2 What Does Liability Insurance Cover? 3 What Is The Difference Between First Party And Third Party Insurance? 4 Is Liability Car Insurance Mandatory In Canada? 5 Are There Any Exclusions Under Third Party Liability in Canada? 6 What Is Priority When Settling A Third Party Liability Claim? 7 What Is The Difference Between Third Party And Comprehensive Insurance? 8 Liability Car Insurance Cost in Ontario? What Is The Definition Of TPL Third Party Insurance? Third party liability insurance or TPL refers to coverage on the automobile policy that helps the insured to claim for legal expenses for damages to others. This may include damages to someone’s property, causing death or bodily injuries. 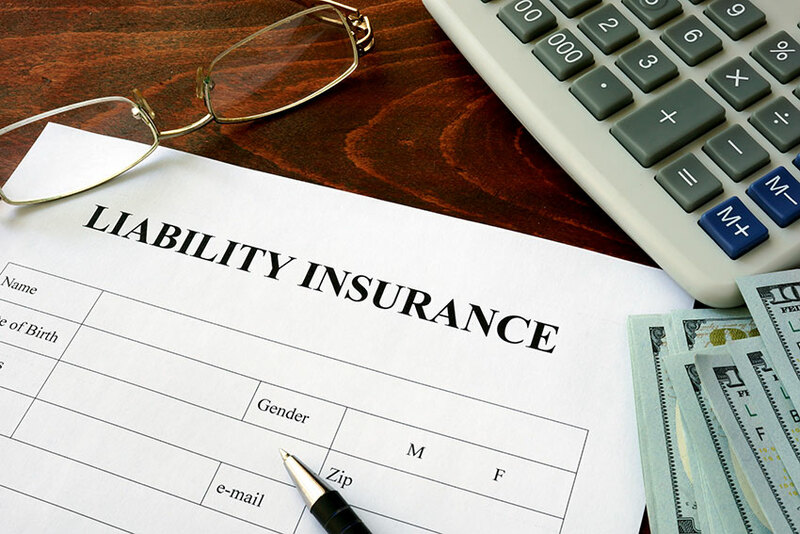 Liability coverage protects the insured against claims expenses due to lawsuits up to the policy limit on the coverage. This will help the policyholder to pay the high legal costs for settling claims for killing or injuring someone and causing property damage. In Ontario, it is mandatory for all motorists to have active standard car insurance. Liability insurance is a mandatory coverage for automobile policy. It covers any damages to property or another person due to an auto accident. The minimum coverage for liability coverage is $200000 in Ontario but you may increase your limit. When you purchase liability coverage it is important that you check the coverage and know that you are adequately protected. Third party liability court expenses are exorbitant if someone sued you for your negligent driving and collision. Liability coverage will protect the insured against property damages and injuries to others due to an at-fault auto accident. The insured can claim for medical costs too for the other passengers. Liability coverage may not pay for your medical expenses due to your at fault accident. You may also bear in mind that third party liability coverage is to protect the policyholder for legal responsibility of the driver or owner of the car. If your friend drives your car and causes a collision then the other party could sue you and you may claim for those losses under your liability protection. What Is The Difference Between First Party And Third Party Insurance? As per property and casualty industry definitions, a first party refers to the owner of a particular property. A third party refers to an outsider, it could be a pedestrian, another road user or even your neighbor. When your car insurance protects you against damage to your car for replacing or repairing it then it is called first party insurance. However, if you were to cause a collision by your fault and cause injury or damage to others then it could be claimed under third party insurance. Is Liability Car Insurance Mandatory In Canada? Yes, Liability car insurance is mandatory in Canada as per law and the coverage limit varies across the different provinces. If you cause an accident then the other party could sue you. The legal expenses may be too expensive for you without any liability coverage. The associated fees for settling those claims may be in the range of millions of dollars which you may not afford without third party insurance coverage. If there is a court decision against you to compensate for all the losses that are more than your liability coverage limits then they may also attach your property and other assets. Are There Any Exclusions Under Third Party Liability in Canada? You may not claim under certain situations as mentioned below under your third party liability coverage. Third party liability insurance on auto policies may not cover any property claims that is under the control or care of the policyholder. So, the insured may not claim for damages to property that they rent or own. If you purchase some goods that turn out to be contaminated or damaged, then you may not claim under auto liability coverage. It is not possible to claim for damages more than your liability coverage limits. What Is Priority When Settling A Third Party Liability Claim? For a third party liability claim, the insurer will first prioritize and settle the bodily injury claim. And then they will settle the property damages claim for the same event. In Ontario, if you carry only the standard $200000 third party liability coverage then out of that your insurer may first set aside $190000 towards bodily injuries. This is almost 95% and they will use the remaining $10000 to settle any property damages. Such a tight situation occurs when the liability coverage is at the minimum level and the insurer has to set a priority. If this still does not suffice then the court may liquidate your other assets. Third party insurance helps to claim for damages caused to others due to your at-fault accident. This includes bodily injuries, legal expenses, and property damage claims. Liability coverage is mandatory. However, comprehensive coverage is an optional coverage. Comprehensive coverage protects your vehicle against damages not due to a collision. This includes theft, vandalism, fire, falling objects, natural disasters, riots and damage due to hitting an animal etc. This coverage will protect the insured against any losses unrelated to the driver’s actions unless excluded. But it may provide cover for sudden actions by others and environmental events that are beyond control. If you own your car outright then you may decide to not have it. However, if you purchased your car on financing then they may insist that you purchase comprehensive coverage. This is to safeguard their vested interests in your car that they have financed. Liability Car Insurance Cost in Ontario? Just like other coverage on your auto policy, there are many factors that insurers consider while calculating the liability coverage premiums. A major factor is the liability coverage limit that you choose and in Ontario, you must have at least $200000. Other factors include your age, postal code, driving record, claims history, vehicle profile etc. The newer model of vehicles that are more expensive has higher liability cost. You may choose higher policy limits for liability protection up to $500000, $1 million or even $2 million. The cost of your premiums may not increase much if you choose a higher limit but it will surely help you out in an expensive lawsuit. The overall cost for liability coverage is less compared to the premiums you may pay for your optional coverage such as comprehensive.